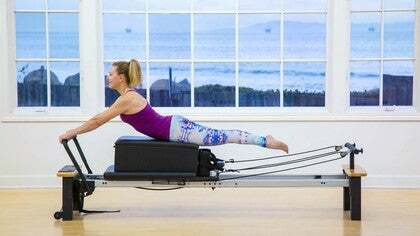 You will move your entire body with this Reformer workout by Amy Havens. 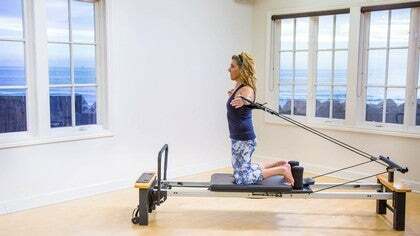 She uses a clean and simple class on the AeroPilates Reformer, focusing on finding connections in your body. She also adds a Towel, in the beginning, to help you find your midline so that you can maintain your center for the entire class. Feeling my obliques tonight after doing this one this afternoon. Another great class with Amy! Thank you. I love clean and simple! 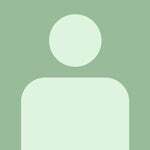 Liked using the towel vs a pilates ball or ring. Thank you! Thank you for another great class, Amy! Those side split variations were killer! I'll be feeling those! Great class, Amy! Thank you! 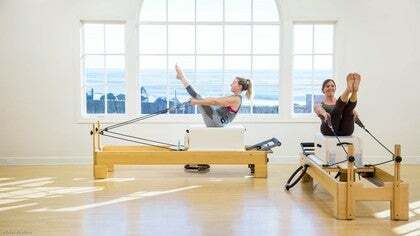 I chose this one today b/c of the title “clean and simple reformer”. And it was truly that! Just what I needed to feel stretched and strengthened on this Friday, after feeling a bit drained from the work week. Fun side standing series with the heavier springs and the support of the calf into the bar. Really enjoyed that one! Always appreciate your sessions, Amy! Would like to see more of these clean, simple and stretched classes. That’s what I’m looking for most of the days! Thanks Amy! Loved your class. LOVED this class! I would also like to see more classes like this. Thanks Amy! Clean and Simple and Lovely:) Love it . Thank you so much everyone, wow! You really really know how to brighten my day!!! 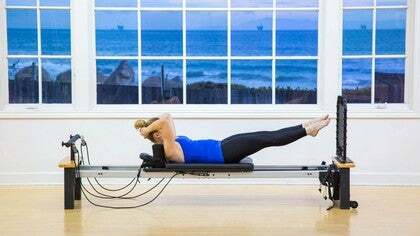 I just filmed an "Essential Reformer Class" similar to this one, but offers a bit more. It should come out in a month or so....stay tuned!